This is a post about a hack project I have been working on lately, and I wanted to share some information about why and how I built it. tl;dr Here is the demo and the project on GitHub. Spotify released recently a set of endpoints in beta to fetch information of what is playing and send playback commands. This allows for a wide range of integrations and I wanted to hack a bit with it. This article explains some ideas behind a small project to detect the tempo of a song using the Audio API. I recommend you to have a look at these links before reading the rest of the article: Demo and Code on GitHub. It’s been some time since my previous post and I wanted to write a short one telling what has been going on. I have several small personal projects around Spotify in which I am working in my free time. I recently attended the Music Hack Day Paris 2014, where I coded Spotify iQuiz, an iQuiz-like web app that uses your Spotify playlists and to create some questions about albums and tracks you saved. I think the most fun part is the Speech Synthesis API, which provides a very easy to use text-to-voice feature, right on your browser. We have just finished the second edition of the Spotify Hack Week. Like the previous one, the whole company has been hacking for a whole week lots of different projects. We have played with Raspberry Pi, 3D printers, and even stationary bicycles. I have been working for some time with Spotify Apps. 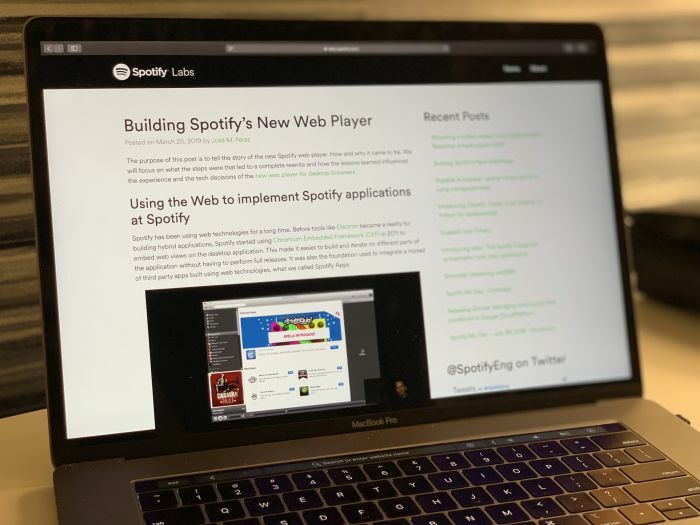 Creating them is a great way to extend the Spotify client with extra features using web technologies. As it exposes a Chrome-ish browser, you can tweak your apps and take advantage of running on a well-known environment. This week almost the whole Spotify company have been working on hack projects. Having 5 days to implement your project is a nice thing, especially after having participated in many 24h ones, and encourage you to come up with more complex projects that otherwise wouldn’t be possible to implement. On the Spotify Labs blog there is a post on how the hack week was organized, and you have a video by Kitchen TV. Last weekend Spotify hosted the Music Hack Day Stockholm 2013 at their office in Stockholm. 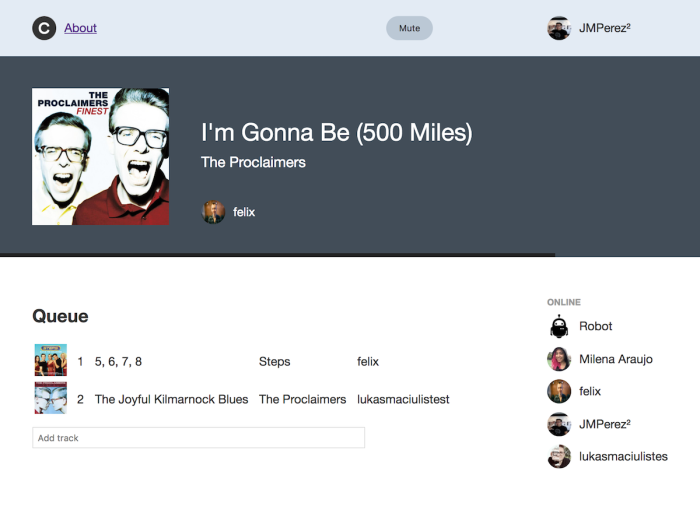 In the end, 65 projects were built by 162 participants, using APIs from a variety of music services such as Echonest, Musixmatch, Soundcloud, Radio and Spotify among others.